A common question I get asked is how to setup an Office 365 and CRM Online Trial together under the same account. Microsoft Dynamics CRM Online shares the same administration, billing and provisioning platform used by Microsoft Office 365 vs. using LiveID in earlier CRM Online environments. So setting up a Trial for both using the same account is pretty straight forward. 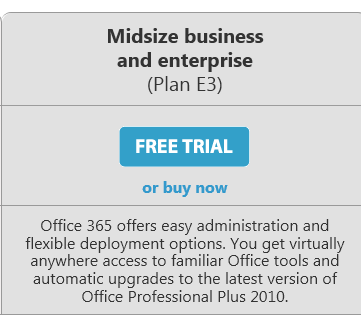 Setup the Office 365 Trial by going to this link and select the “Plan E3” Free Trial. The “Plan P1” doesn’t offer the CRM Online option at this time. 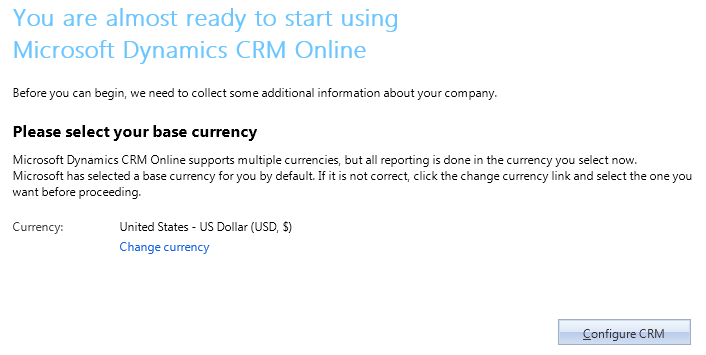 Click on the “CRM” and begin configuring your Dynamics CRM Online. Now, if you have already started a Dynamics CRM Online trial and like to setup the Microsoft Office 365 Trial with the same CRM Online trial account – navigate to the Office 365 Admin Portal and login using the CRM Online trial administrator user account. Then navigate to the Subscriptions >> Purchase area >> click on the Trial for Microsoft Office 365 (Plan E3) and complete Trial request process. That’s about it to the Office 365 and CRM Online trial request process. I’d recommend the next step is to setup the CRM Online List Component for SharePoint to support document management in CRM leveraging SharePoint Online. CRM and SharePoint work well together. This entry was posted in CRM Online, Microsoft CRM, Microsoft Dynamics CRM, Office 365 and tagged Dynamics CRM Online, Microsoft Office 365, Trial. Bookmark the permalink. Thanks a lot for this update – half a year ago as I was testing both products there was no such option and it was disastrous to use with different accounts. Still I guess there’s a lot to be done in Dynamics: it is anti-efficient to install on-premises E-Mail router to sync from Exchange Online to Dynamics Online – there should be system bus in the cloud for that AND with flexible configuration of assigning e-mail addresses/domains to projects, customers, etc. I mean real Email Management like: http://www.carmelvision.com/email-management.htm Also I am badly missing project management and collaboration based on the latter, as well as supervision and auditing of all data items for legal purposes. 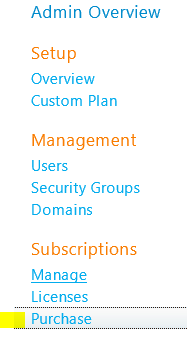 Lastly do you know if the above mentioned “binding” option will be available on the coming Office 365 Midsize Business Plan (http://www.zdnet.com/microsoft-office-365-more-new-packages-and-prices-coming-in-november-7000005923/)? Why is this not available for Plan P1 customers?